YOUR BROWSER MAY BE INSECURE. PLEASE CALL 203-259-1036 TO BUY TICKETS. Power pop heroes The Posies came of age in the 90s, but the musical impact of partners Jon Auer and Ken Stringfellow sank uncommonly deep roots into their musical past. The acclaimed pair of songwriters and multi-instrumentalists have worked with a who’s who of peers including R.E.M. and Ben Folds. 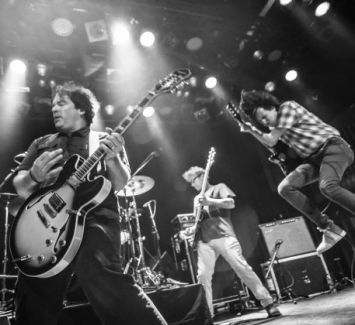 Rock n roll has rarely been as smart, soulful or satisfying than it has in the hands of The Posies. During an on/off career that’s spanned three decades, the Seattle-rooted outfit has shaped and re-shaped their muse, creating one of the more compelling catalogs in modern pop.